A news agency reports that China might consider launching pre-emptive nuclear strikes. Is it really shifting policy? The headlines on China’s nuclear weapons strategy were certainly eye-catching earlier this week—‘China rethinks no-first-use policy’. But has there really been a shift in policy? According to a report by Japan’s Kyodo News, newly-revealed documents suggest that China would consider launching pre-emptive strikes if it found itself in a ‘critical’ situation. This policy, entitled ‘Lowering the threshold of nuclear threats,’ would mark a shift in the country’s pledged no first-use stance. However, one analyst noted in an email I received that the Kyodo report seems to be based on two books published by members of China’s Second Artillery more than five years ago. 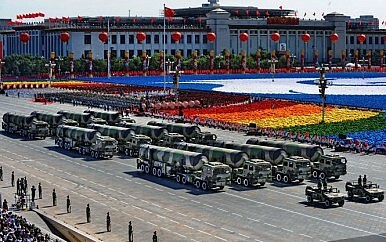 The Second Artillery Corps is China’s strategic missile force and is responsible for its nuclear and conventional missiles. But the analyst noted that although a debate has taken place in recent years over the limitations of the policy, it’s not clear that the recommendations in the books were adopted as official policy. Prof. M. Taylor Fravel, a member of the Security Studies Program at the Massachusetts Institute of Technology, and Evan Medeiros, now China director at the US National Security Council, have a great overview of China’s nuclear posture in a report they had published recently, which also covers the debate apparently touched on by the Kyodo report. Just because a source was in Chinese doesn’t make it authoritative on China’s military. Verification is essential.